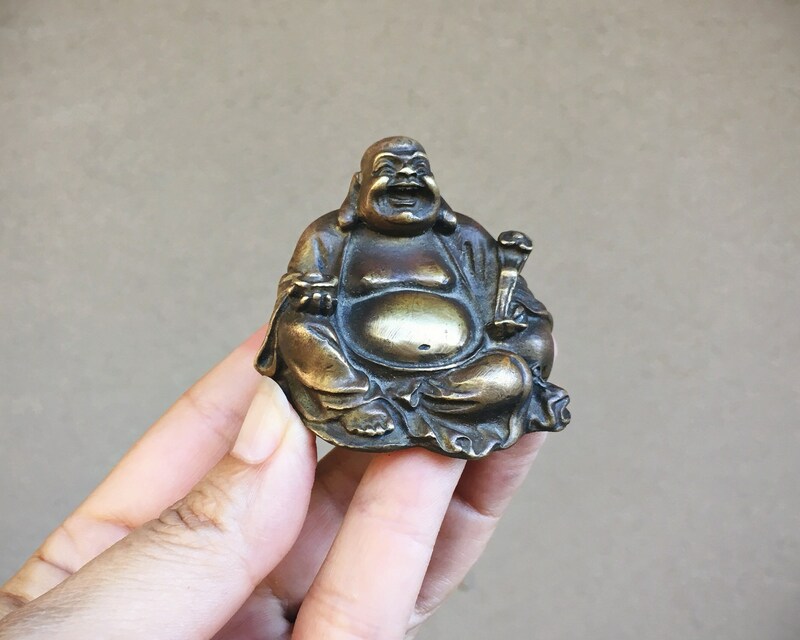 This solid brass figurine of Buddha came from the estate of a man who traveled all over the world and collected Buddhas from many countries--Thailand, Japan, China, and others. 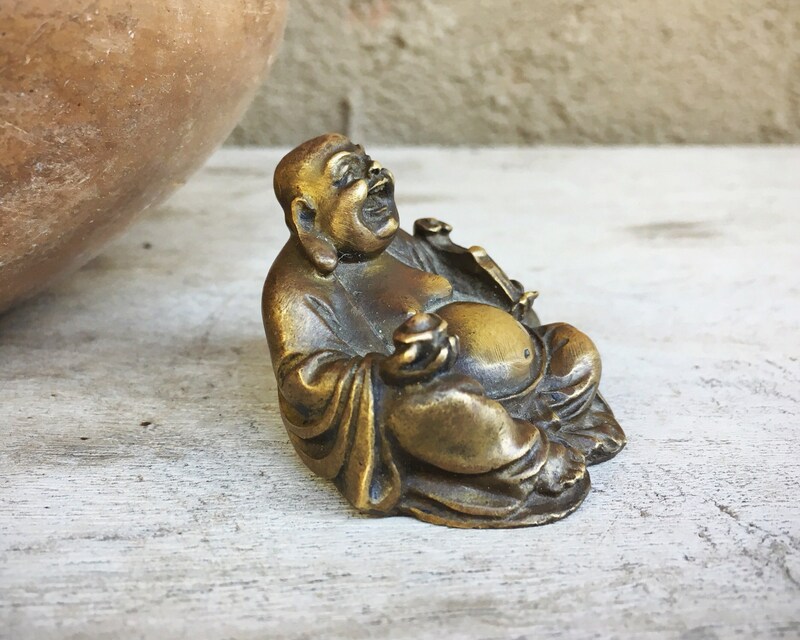 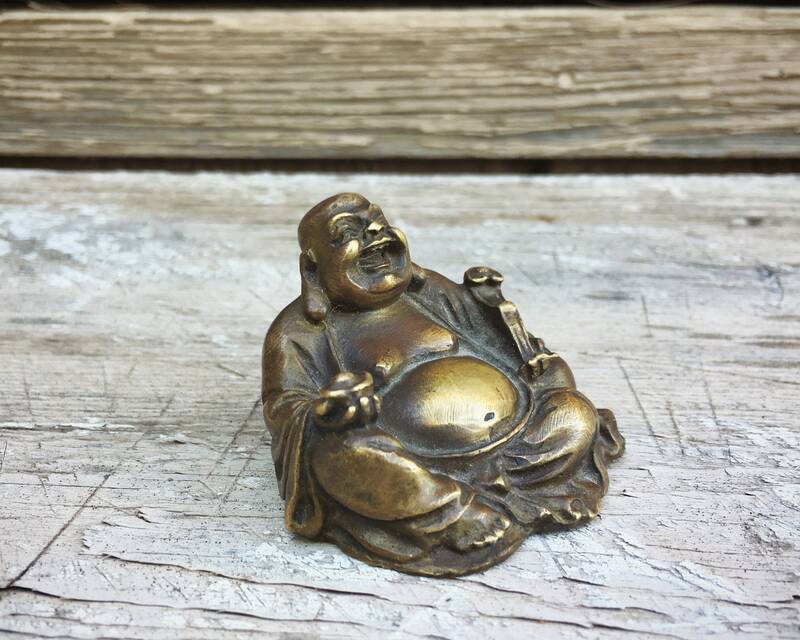 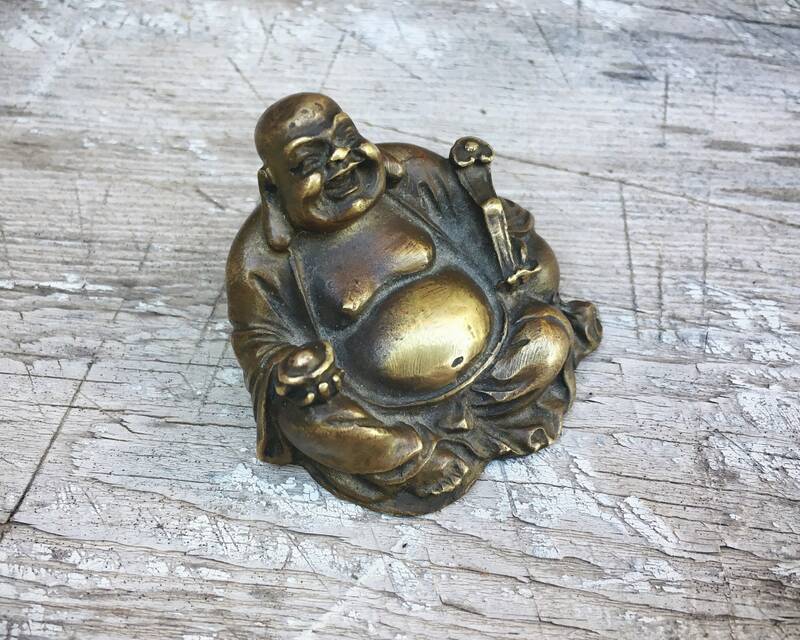 I love brass anything but especially this Buddha as it is solid and has such a wonderful patina, with darkening in the crevices. 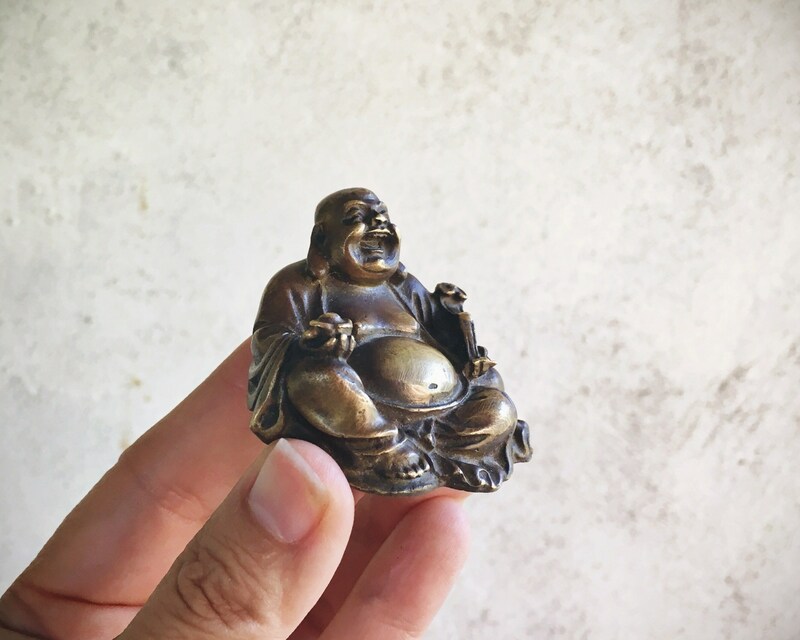 Also, the details of this brass Buddha are quite clear and precise, allowing the Buddha's joy comes through in his face. 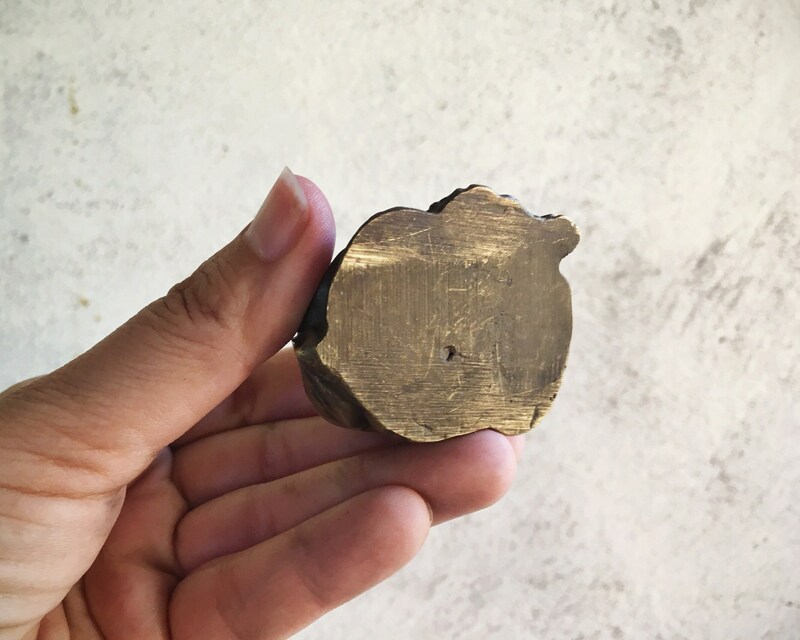 Has one small indentation on bottom, possibly a maker's mark. 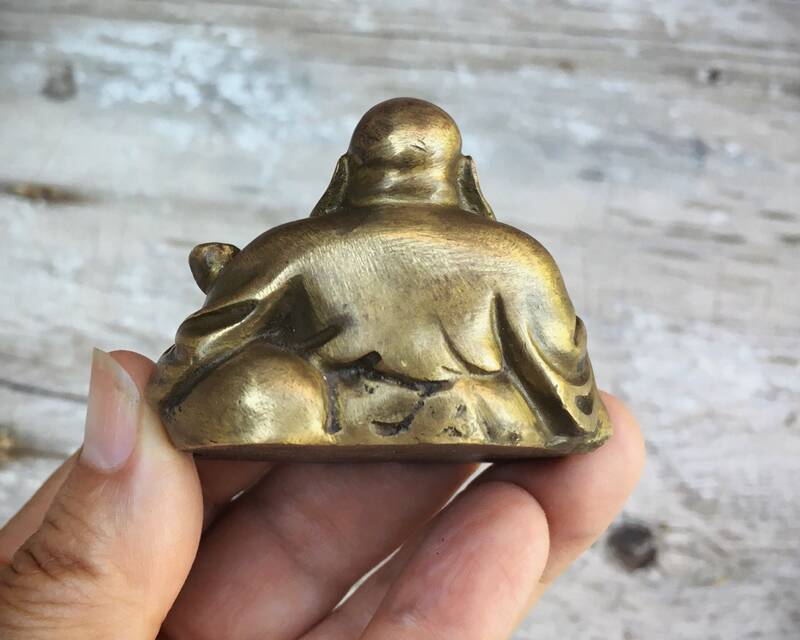 The figurine is small at 1-3/8" tall by 2" wide and 1-3/4" deep. 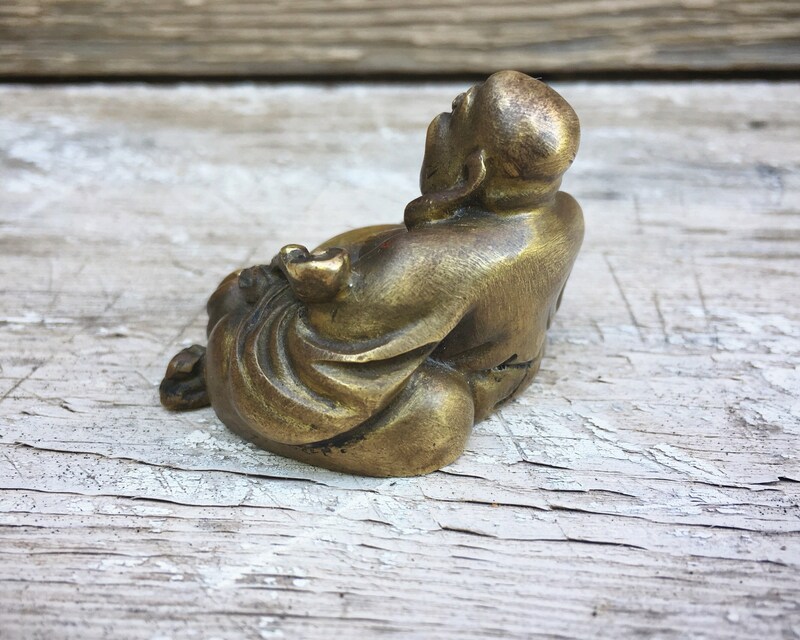 Has a deep patina yet in good condition.